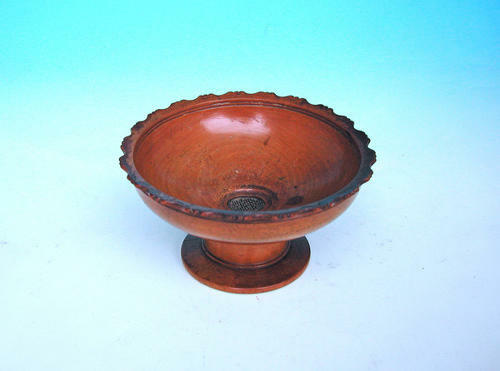 A rare late 18thc / 19thc Maple Searce decorated with serrated edges and still having the original brass wire sieve. They were used for sieving powders to remove the lumps and impurities that were going to be used in the Apothecary. See Edward Pinto, Book on Treen & Wooden Bygones, page 18 and Plate 6 , B C and D.